Exmark Radius S-Series delivers the cut quality and durability professionals demand at an unbeatable value. 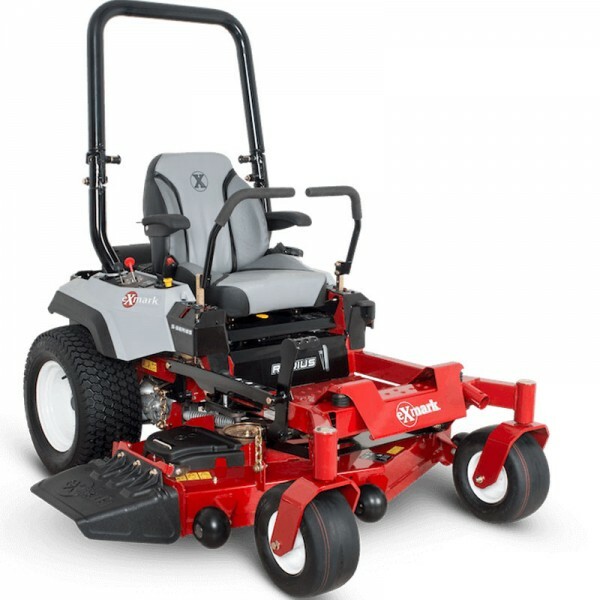 Powered by Kohler ZT engines, with Hydro-Gear integrated transmissions and up to 9 mph fwd. ground speed Radius improves productivity, but an operator seat with adjustable isolation technology and elastometric vibration control (EVC) means maximum comfort. Speed: Infinitely variable speed selection from 0–9.0 mph (14.5 kmph) forward, 0–5.0 mph (8.0 kmph) reverse. Exmark Radius S-Series delivers the cut quality and durability professionals demand at an unbeatable..